5 Top Reasons For Moving To Spain. 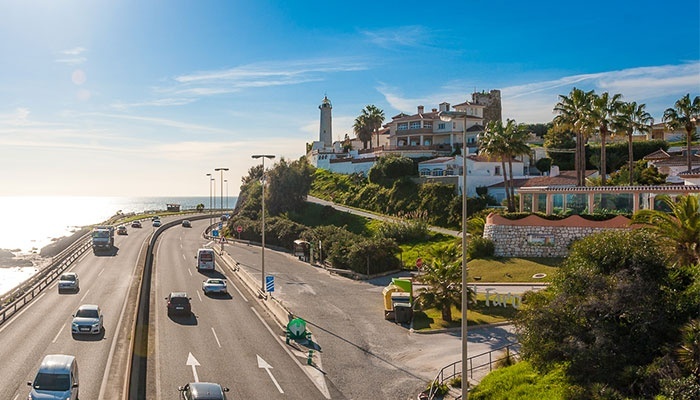 When considering a relocation to anywhere else in the world, moving to Spain is usually pretty high on people’s list; whether it be for work, love, or to enjoy one’s hard-earned retirement. I wanted to write today about the five reasons I see as the biggest pull factors for anyone relocating from abroad, as well as give you some insights from my time here and personal experiences. 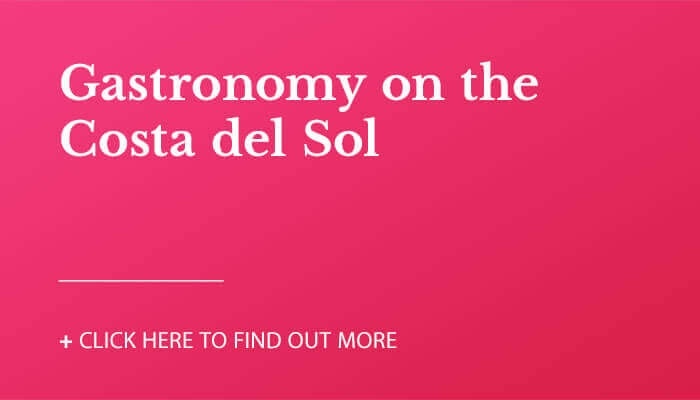 …Yes, parts of Spain, like the Costa del Sol, get 320 days of sunshine per year and average temperatures in the Andalusian beach haven rarely dip below 16°C, but the true advantage of moving to Spain lies in how Spanish culture harnesses this light and maximises time spent outdoors. Festivals, fairs and town celebrations ("fiestas del pueblo") always take place at outdoor fairgrounds and open-air spaces, as well as processions, Saint’s Day festivities, open-air concerts, sports and cultural events, etc. The list really does go on. Even the typical working day encourages a favourable work-life balance. 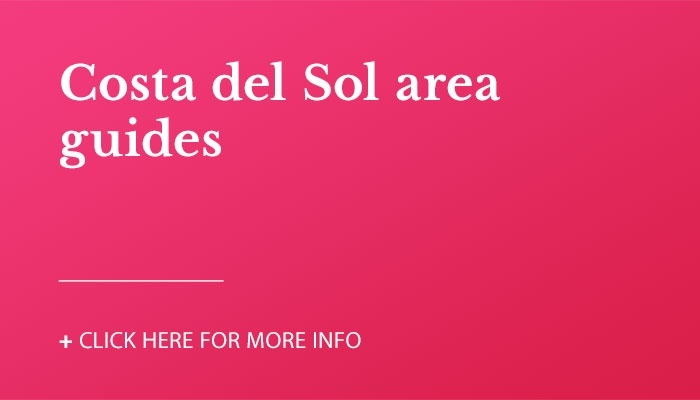 Given that Spain is geographically one time zone ahead of what it should be (the Prime Meridian Line actually passes through somewhere near Valencia on the east coast), the sun comes up later and sets later. This, paired with a famously late dinnertime compared to most of Europe, means there are typically more daylight hours to enjoy when people finish work. And enjoy them they do! For example, outdoor sports are practiced by the largely active population before dinnertime, while it is very common for children to partake in – yes, you guessed it – outdoor after-school activities. Socialising after work comes in the form of “tomar algo”, meaning to have a drink; at which time outdoor terrace space is key real estate and there is a palpable buzz of life in the evenings in towns and cities all across the country. Talking of grabbing a drink – and maybe some tapas, too – the cost of eating out is relatively low throughout Spain. While it may be true that San Sebastián, Barcelona, Madrid and Bilbao are the most expensive places to live in Spain, even there you can eat out for way less than in the majority of northern European capitals and major cities. Having lived in the UK prior to moving to Spain, I was pleasantly surprised how far my euros went at cafés, restaurants, supermarkets, clothes shops, when going out and for virtually all leisure activities compared to the equivalent price back home. Click on the link for Expatistan’s handy Cost of Living in Spain calculator. This is precisely why the country’s appeal to British retirees is so strong and retiring to the Costa del Sol is so common. Having amassed a pension in sterling, retirement benefits go substantially further as a pensioner living in Spain than in the UK. Talking about moving to Spain would not be complete without mentioning food and drink (again!). 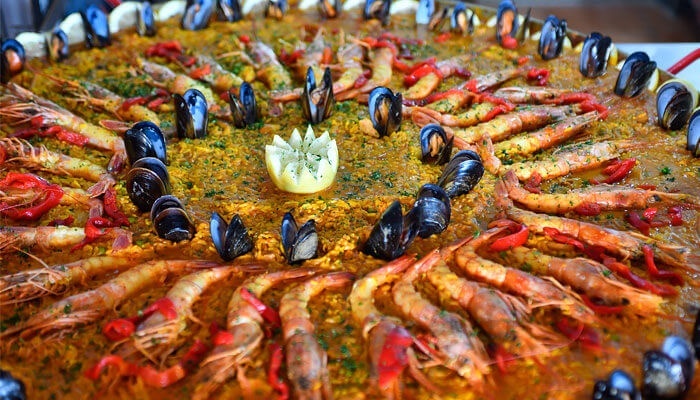 As you can tell from the number of references it has already got in this post, gastronomy is integral to Spanish culture. Indeed, the Spaniards are very proud of their produce, for example wine and olive oil, and when it comes to their celebrated meat and seafood dishes no imitations are accepted. All Spaniards know where the best Iberian “bellota” ham is produced. They will tell you that the best “cochinillo” (suckling pig cooked on a spit) is in Segovia. They will tell you that Ávila is the best place to go for a huge beef steak (“chuletón”) and the Andalucian provinces of Málaga, Cádiz and Huelva do the best fried fish (“pescaito frito”). They will also speak at length and with great enthusiasm about local dishes from their family’s “pueblo” (small town or village). If you’ve lived in Spain for a period of time, you’ll have probably tried various dishes from several different regions and wines from different “denominaciones de orígen”, and it would be true to say that there’s something for everyone. If not, I must say that you have much to look forward to! Moving to Spain gives you the chance to embark on this culinary voyage, which left me with such great memories and allowed me to better understand this facet of Spanish culture and its citizens. As someone who moved abroad relatively young, I naively assumed that the Spanish and the British would be more or less the same. Without going into cultural stereotypes or tarring an entire nation with the same brush, there are fundamental differences that set the two groups of people apart, in my opinion. Spaniards are, for sure, more family-orientated and families tend to be larger; meaning that there is a relative's birthday, first communion or wedding to attend most weekends! They are also very generous, warm and welcoming. They love socialising, are great communicators and - in my experience - are very accepting in terms of opening up friendship groups to "outsiders", which is great if you're looking to find your feet in a new country. By way of evidencing "the Spanish disposition", if it is fair to talk in such terms, a recent survey showed that Málaga has the world’s happiest people. I don't know about you, but relocating to a place whose citizens are happy, out-going and tolerant certainly ticked all the boxes for me. This may not be on everyone's top 5 list for moving to Spain, but I see history and culture as a great reason for moving to Spain. Yes, it may be only the same length as that of France, Italy and Great Britain, but Spanish history is as fascinating as it is integral to society, architecture, language and way of life in the present day, meaning it's not just the stuff of legend. It's applicable to everyday life. What's more, the varied geography of the country played a huge role in who settled in its lands and which regions were able to be conquered. The result is that, in many ways, the north is vastly different to the south and the east is nothing like the west. This is a country where you can visit enormous Catholic cathedrals in cities like Toledo, Zaragoza and Burgos as well as Moorish castles and palaces in places like Córdoba and Granada. If you feel like a challenge, you can walk the Camino de Santiago or hike in the Picos de Europa in the north or the Sierra Nevada in the south. You can visit Roman ruins in various spots and see their amphitheatres, bridges and aqueducts preserved perfectly all over the country. Furthermore, art, architecture, literature, religious and cultural festivities, traditional music, flamenco dancing and the different official languages spoken are all examples of the historical and cultural treasures you can discover by moving to Spain. 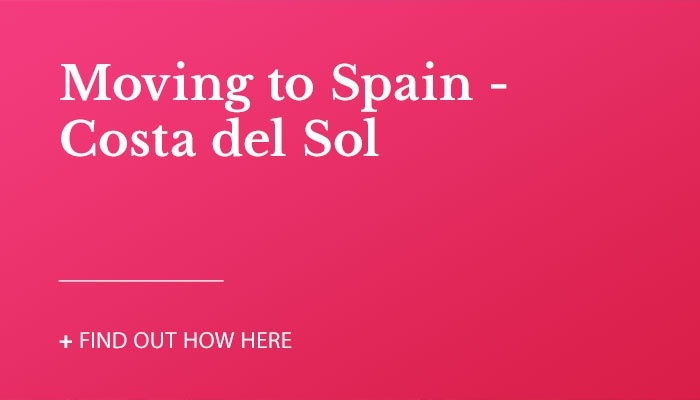 As is doubtless the case for every expat who’s taken the plunge by moving to Spain, friends, family and people I meet often ask me why I relocated here in the first place… Was it for love? Was it for a job opportunity? Was it to travel? And why Spain instead of any other country? Of course, each expat has their own personal reasons for emigrating, which can be as ambitious as setting up a business or as uncomplicated as simply seeking a change of scenery. In my case, it was none of the above. Having established a decent foundation at school, I nurtured my talent for modern languages at university and, after four years of study – including a year living and working in Madrid – I very quickly saw moving to Spain as my “linguistic calling”, so to speak. Almost ten years later, I can honestly say it was one of the best decisions I've ever made! Did you feel I missed something out? Do you disagree with my Top 5? I'd love to hear your feedback and comments, or any of your own experiences related to moving to Spain. If you have any questions about Spain in general, feel free to ask and I will answer as best I can! We (Americans) have spent at least 3 months each year (for the last 20) living abroad and visited almost 40 countries. We chose Spain for our permanent retirement last year as it is the perfect compromise of life style, cost, food and weather - we haven't regretted a day of it. 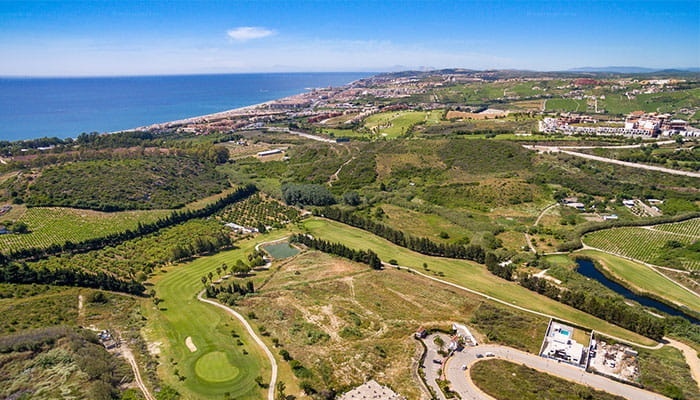 Viva found us the perfect home in Estepona surrounded by Spanish and expats from 18 different countries. Your article hit the nail on the head = Spain is a top choice. We aren’t British but French and we love as well the Costa del Sol and Spain in general and also Spanish peuple, culture etc.... We are looking to buy a flat or casa adosada not fare from the beach and shoppings for our very near retirement 😊!! Thanks for your well-considered and argued opinion. I totally agree!